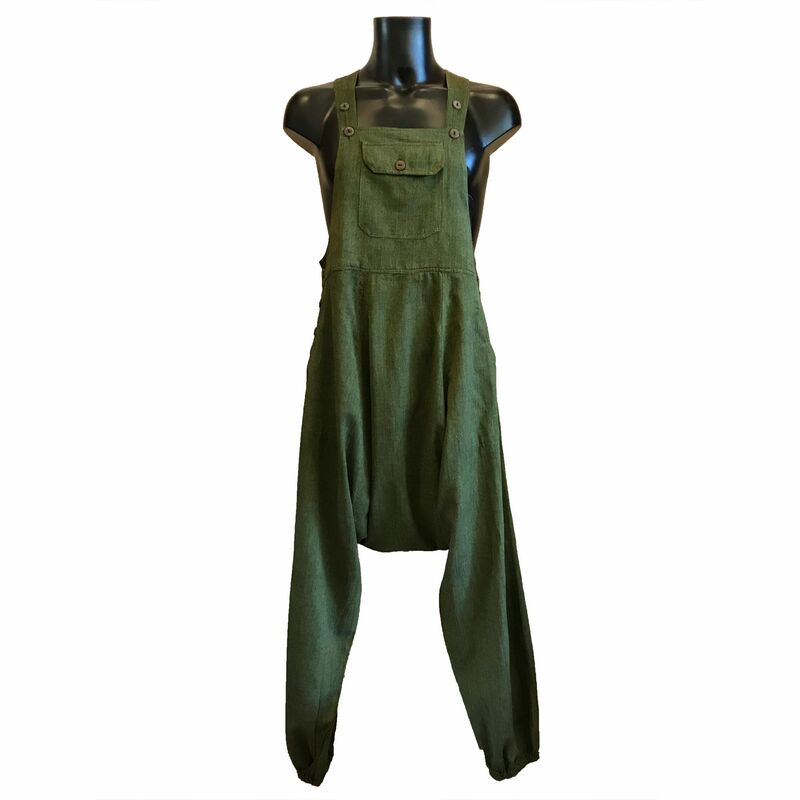 Hippy festival style green cotton baggy dungarees. Featuring adjustable shoulder straps, bib pocket, two side pockets, side buttons and elasticated leg bottoms. Hand wash cool and line dry. Outside leg, waist to cuff 39" 40" 40" 41"